the urban balcony: Fresh out of my garden - lemon grass! Lemon grass is a recent favorite for me. Ever since I tasted Thai food, I'd been looking to grow this one in my garden and experiment with any dish I prepare in the kitchen. Lemon grass is a popular herb and quite easy to grow. From a small rhizome I got, it has now grown into a perennial sedge in full sun and with regular watering. The long leaves have a strong lemony scent and has a great flavoring property. You can use it fresh or dry it to make lemon tea. Here are some tried and tested recipes for dishes I made for Sunday dinner and everyone loved it. Marinate fish with salt, turmetic powder, green chillies, yellow mustard and poppy seed paste for about an hour. Wrap it in lemon grass and steam cook for about 15 mins. Unwrap and ready to eat. Marinate fish with salt, pepper and ginger garlic paste for about an hour. Wrap it in lemon grass, sprinkle worchestershire sauce, olive oil and bake for about 15 mins with fresh vegetables. Unwrap and serve piping hot. Vegetarians could try these recipes replacing fish with cottage cheese. Lemony scented coconut rice or a fresh cup of lemon tea in the morning are others. It's absolutely refreshing. I love lemon grass. My mom always has a lemon grass plant in her garden in Malaysia. It's not very common in Australia but I will look out for it at the garden centres. I've just returned from buying herbs to plant, but unfortunately, I did not see lemon grass. @Evelyn: Thanks!! Not many here (especially in North India) fancy lemon grass since it's a lesser known plant. Thanks again for stopping by. @Anonymous: It's a pure joy cooking garden's harvest... all the best!! Hello Urban Green, this is a great recipe!! but most of all I love how you are enjoying your garden harvests!! I was getting bored with my cooking and now I am inspired to try out your recipes. I always have a pot of lemon grass growing. BTW I am also a lover of Thai food. Another request...please post any recipes that you have using banana leaves to wrap and cook in. Merci beaucoup. @Maria: Totally. I love whatever little I get to grow in my mini container garden. It's such a joy! Thanks for stopping by. @Helen: Sure, I'll definitely post a couple of recipes (using banana leaves) I know. Most of them are fish/prawn ones. @Stephanie: Yes, you got me right. I'm in love with lemon grass ever since I figured it in Thai food. Helen just asked me for banana leaf wrapped food, and am gaga over that too. I love lemongrass also. It grows well in my little garden in inner city Sydney esp in summer when it is quite humid. I adore the recipe ideas. @Lanie: I'm glad you liked my recipes. Cooking is so much fun when one's garden provides what one needs...thanks for visiting my blog and appreciating it too.. I Love the recipe that contain lemon juice, the taste is really wonderful and delicious. this is my favorite fruit and i enjoy preparing recipes. My boyfriend always enjoy all my recipe. He is really happy. Actually I was looking for information how to buy viagra by internet and I saw this blog, so I prefered to read about it. Can u tell me whether I can buy mint plants? Or do we need seed... 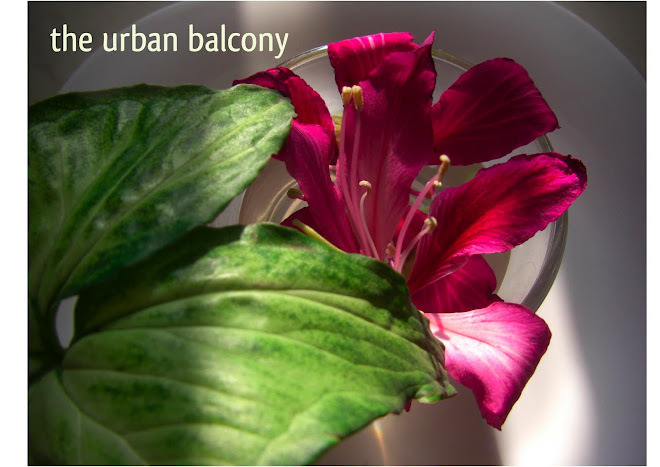 I am fom mumbai with eastfacing balcony with ample sunlight and rain and I am planting some herbs. Please help me.